I kicked off the month of August with a lovely weekend getaway! 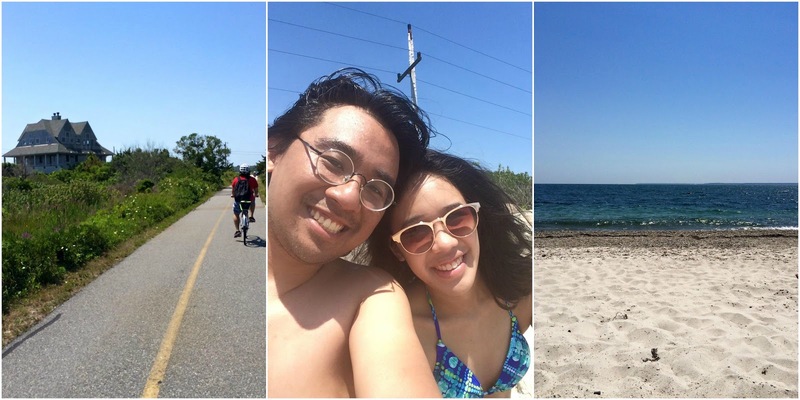 Macky and I stole away from the city to head on up to Cape Cod, a mini-vacation from the hustle and bustle of our everyday lives. I do adore living in the city, the convenience and the crowds and the knowledge that I can go anywhere and find something to do. But whenever I get out of the city and into a place as beautiful and quaint as the Cape, I always feel at home. The wide open spaces, beautiful views and easy access to the ocean certainly don't hurt! It was a magical pre-birthday celebration (except for the bus shenanigans, which we've decided to treat as a lesson learned) and I enjoyed every single second of it. The morning after our arrival, we wanted to revisit the Shining Sea Bike Trail. So we rented bikes, hopped on and rode away down the path. I've always had the ability to recognize places I've visited before, so it was easy enough to steer us in the same direction. We stopped midway to spend some time on the beach. I'm a total beach bum, so I enjoyed our time in the sun, the sound of the waves crashing against the shore a soundtrack as I read. 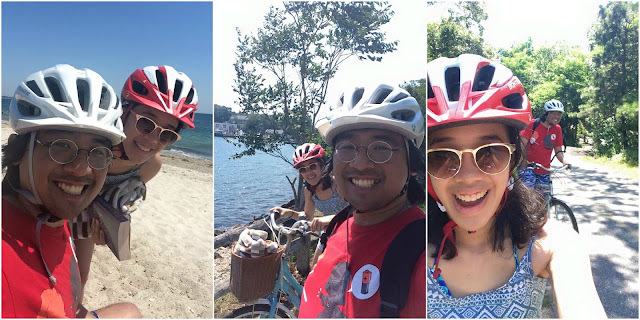 When the sun was getting high in the sky and we were starting to get hungry, we hopped back onto our bikes to ride down the miles we had left till we arrived in Woods Hole. We stopped for lunch at Landfall, resting our tired legs a little, before we rode all the way back to the bike rental place. Tita Tiza picked us up from the coffee place where we'd hung out for a little while (and who served iced chai lattes that I really like). 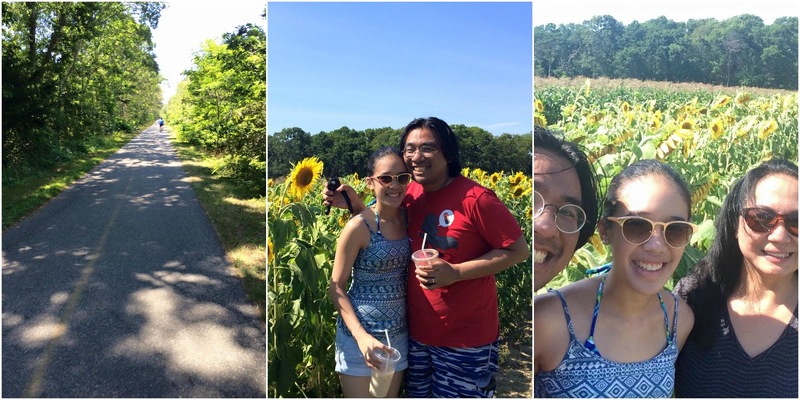 We were going to head home to relax a little bit, but made a pit stop at Tita's favorite farm to buy produce from - and I was happy to be greeted by rows of sunflowers! Sunflowers have always been cheery to me, and they're my favorite flower! So we happily snagged a few to take home with us, a colorful reminder of a lovely day while we chilled out together. 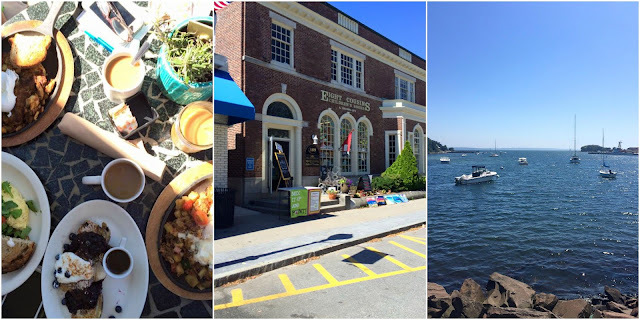 The next morning, we were up bright and early in order to have brunch at The Pickle Jar. The hashes were delicious, but I think the clear winner of the best dish was the blueberry muffin French toast. I'd happily go back again just to have that! By a stroke of fate, I finally got to visit a bookstore up in Cape Cod - Eight Cousins, which was delightful and had so many different books to choose from. (I got quite the classics haul!) We took off in the car again and headed down to Plymouth, a town I've never actually visited before. Plymouth is well-known in American history, as it is said to be where the Mayflower first landed. We got to see a replica of the Mayflower and Plymouth Rock, and as history nerd, I thought it was pretty damn cool. We finished with some ice cream (chocolate chip for me), before we went off to Boston and parted ways for the weekend. Beautiful weather, excellent company and spontaneous surprises - it was definitely a relaxing, lovely trip! I couldn't have asked for a better weekend away with Macky, and already cannot wait to visit the Cape again. Oh wow! Plymouth looks beautiful! What a fun way to kick off your birthday week! Ahhh what a fun weekend! The pictures look amazing :) and happy early birthday!! I'm totally craving a getaway just as lovely right now! 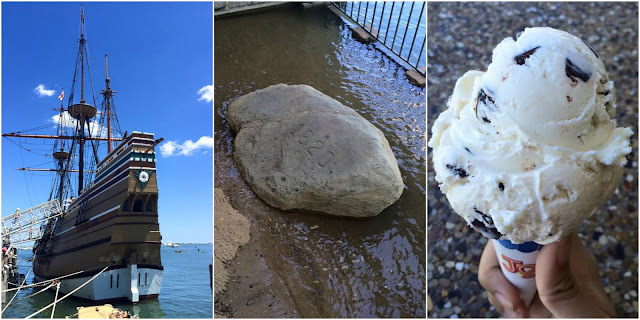 It's so great that you and Macky enjoyed your trip to Cape Cod and Plymouth! Gosh, I'd love to see those places one day!